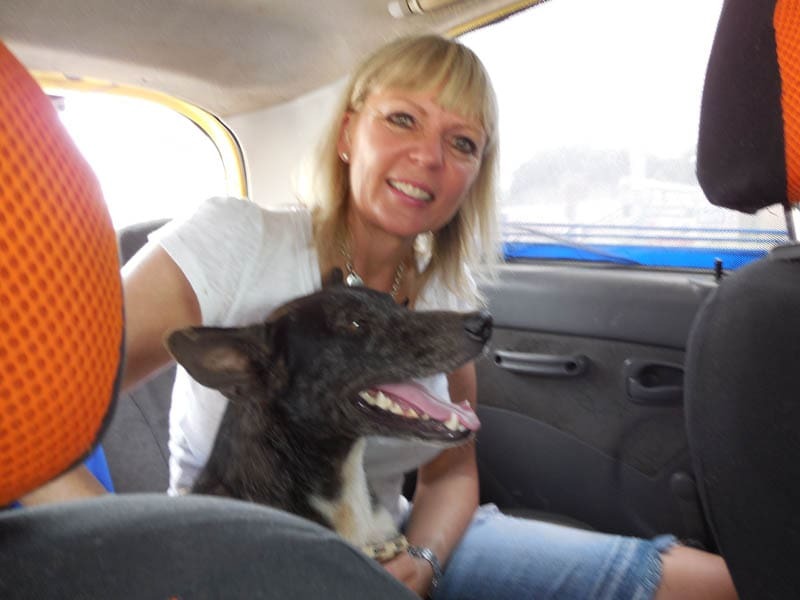 Vanda Hale met a stray dog in Colombia but had to leave him behind. With the help of local animal lovers Hale planned to transport the stray to Arizona. 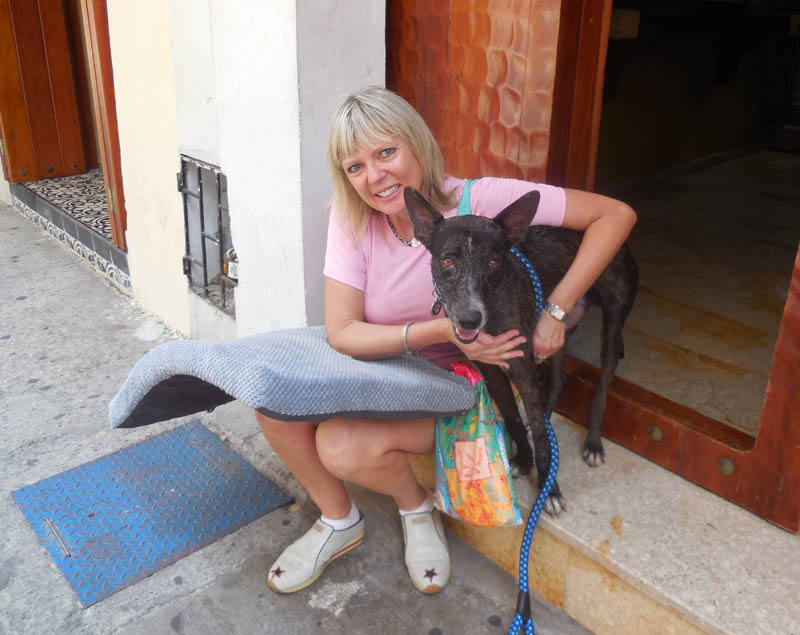 Back in February of this year we told you the story of Nikko, a street dog from Cartagena, Colombia, and Vanda Hale, an American citizen from Arizona. Hale met the street dog while she vacationed in the tropical city over Christmas break 2013. She fell in love with the black mutt and decided she had to rescue him and bring him home. 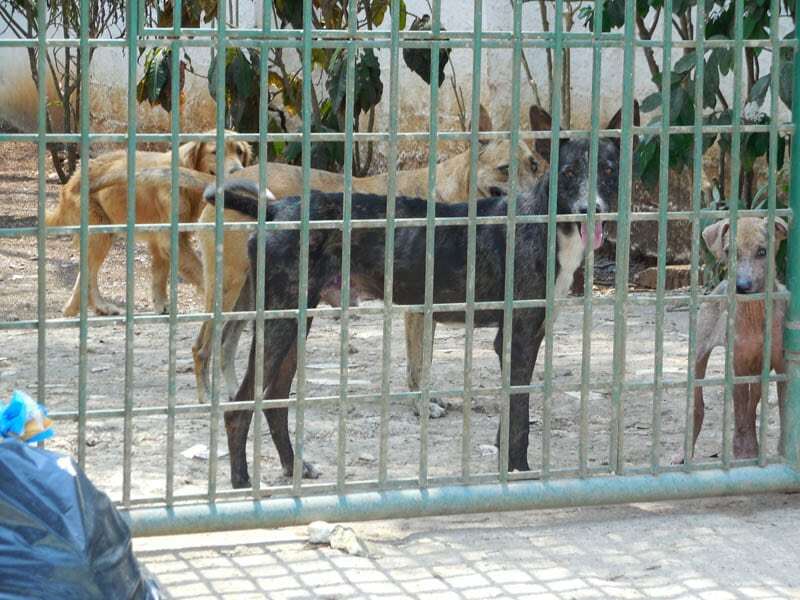 Read “The American Dream for a Street Dog” to learn their story. Unfortunately, Hale wasn’t able to bring Nikko with her in February. The tourist had to leave the dog behind, then through emails she enlisted locals to help locate the dog and transport him to a shelter, until she could travel back to get him. 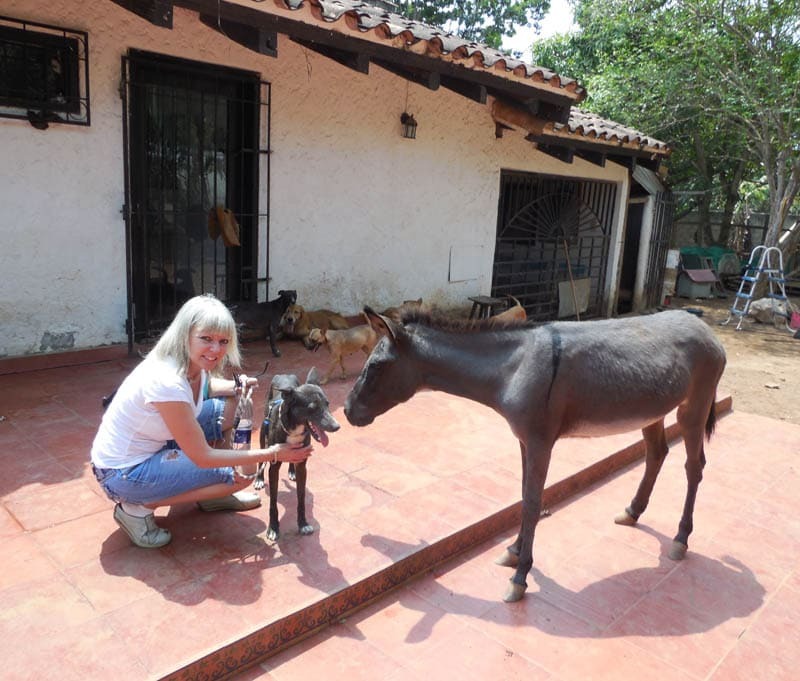 Nikko found new friends in volunteers from FRAD Cartagena (Fundacion Rescate para Animales Desamparados). Local animal lovers picked up the stray and took him to the shelter in the outskirts of the city. There, the dog lived with over 70 other dogs until March, when Hale was able to travel back for him. On March 20, 2014, Hale arrived in Cartagena for the second time. The next day she met with Paola Marrugo, the FRAD volunteer who helped locate the Colombian stray. Together they traveled to the shelter to pick up Nikko. Nikko, Hale and Marrugo left the shelter together, but when they arrived at a local vet clinic where the stray dog was scheduled to get a bath prior to departing for Arizona, drops of blood trickled down the dog’s torso. “Paola lifted him up and you could see some gashes underneath,” said Hale. Nikko stayed over night for treatment, but when Hale arrived on Saturday, March 22, 2014, Nikko’s new forever momma got some shocking news she was not expecting. Hale had planned to travel back to Arizona on Sunday, March 23, but on that day instead of getting ready with her latest pack member, she had to get ready to say good bye to Nikko again. The future American dog had to stay behind for treatment. Arrangements were made for the dog to be boarded at the vet clinic while being treated for three long months. Fortunately, Nikko moved into a foster home once he was done with his treatments. A heart broken Hale came back to Arizona in March, but she was determined to get Nikko home one way or another. Tomorrow we will publish the final chapter of this story. Find out if Nikko recovered and if he made it home. poor guy, just when he catches a break.